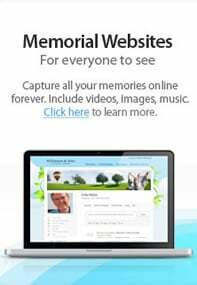 What Should You Research for Funeral and Cremation Planning in Union Hall, VA? As you begin the funeral planning process, it might feel like a lot of information needs to be researched. Not only do you need to learn about the industry, but you need to evaluate funeral homes in your area. Plus, you need to evaluate the funeral and cremation services offered in Union Hall, VA. It can feel like a lot of information to cover through the funeral planning process. At Lynch Conner-Bowman Funeral Home, we know that you are facing many decisions for the funeral plan. You’ll find that we excel in the custom funeral services, making it easy to design a beautiful event. Our goal is to help you honor your loved one in a way that minimizes the stress and burden on the family. The friendly staff at our funeral home will oversee the logistics, giving you time and energy to focus your attention on your surviving family members. The first step should always be focused on choosing a funeral director for assistance. Make sure that the funeral director is not only experienced, but also licensed in the industry. Having a good funeral director by your side helps to decrease the stress associated with funeral planning. You can lean on the guidance offered by our team, giving you peace of mind in knowing that we are here to support your needs. You shouldn’t be worrying about a long to-do list and many tasks that need to happen before and after the funeral. Let our team handle these details so that you can focus on creating a beautiful, memorable experience for your loved ones. Another factor to consider is the opportunity to customize the funeral services that are offered. Do you have the flexibility to design an event that is personalized to match the wishes of the deceased? What family traditions should be included in the funeral plan? These details are important because they help attendees feel the connection. Traditions can be beneficial to provide a healing atmosphere and experience for people who come to the funeral. Funeral customization might be as simple as showcasing memorabilia from the person’s favorite sports team. Or, you could play their music in the background, share poetry, or have a life sketch focused on fun memories from their lifetime. Sometimes families want to maintain tradition by holding a formal gathering in a funeral home or church. Other families want to keep it small and simple with a backyard memorial or something at home. Evaluate the needs and preferences of your family. Then talk to our team about the industry options that will support your goals. We are here to assist with anything that you need before and after the funeral. One of the benefits of choosing Lynch Conner-Bowman Funeral Home is that we provide full services for funeral planning. Our company has all of the resources and tools required to create a beautiful service for your loved one. If you need assistance with traditional funerals, then we are here to help. We also have many years of experience assisting with modern or contemporary memorials and Celebrations of Life. We are unique in the area because of the crematory owned by our company. This facility means that we can oversee every stage of funeral and cremation in Union Hall, VA. We never send the remains to another service provider for cremation. Instead, the person remains in our care at all times. You will find supportive information on our website to help with funeral planning. Many families like to begin by reading this information. Then, we can schedule a time to meet so you can talk about these options with a funeral director. We are happy to answer questions over the phone. Or, you can visit our funeral home if you would like to see the meeting rooms that are offered. It is essential that you choose a trusted funeral director as you are preparing for these end of life services. An experienced team will answer questions and guide your decisions for this funeral plan. Contact us if you are interested in preplanning services. We can also assist with unexpected funeral services as well.